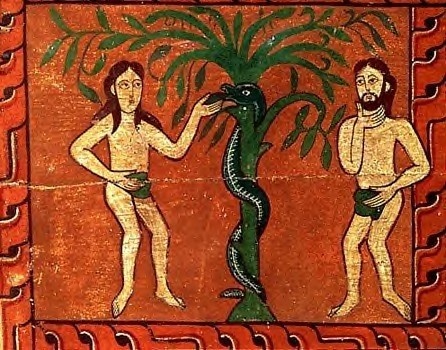 Recently, there was some discussion of the historicity of Adam and Eve in the comments section of another post, so I thought I would start a separate post on the issue and refer readers to a short post by James Anderson who summarizes some of the key Biblical reasons to think Adam and Eve were real historical figures, and the parents of the whole human race. I will offer what I think is a compelling theological reason for thinking Adam and Eve was the original pair of humans as well. If there was more than one pair of original humans, then humans would have fallen into sin at different times. Indeed, there could have been two different spiritual lineages of humans living side-by-side: those who had not sinned, those that sinned. This contradicts passages like Romans 5 which indicates that all humanity sinned in Adam. For those who might be willing to concede that Adam and Eve were historical figures but deny that they were the only two humans God created in the beginning, consider this: Jesus is the last Adam who came to undo the effects of the first Adam’s sin (Romans 5). That means Jesus’ redemption only applies to the offspring of Adam. Any humans who might exist today that are not descended from Adam and Eve could not be redeemed. If you reject the historicity of Adam and Eve, I would be interested to know what Biblical and rational arguments you might have for this, as well as your thoughts on the Biblical arguments provided by Anderson. No one can deny Adam and Eve were historical persons. But please do a search: The First Scandal Adam and Eve. Personally I don’t think the idea of multiple pairs will contradict anything. We often make generalizations where we include people in a “group” – even though it’s clear that not all people might fall in such a grouping. For me, Adam represents the first humans on Earth. Just from a pure practical point of view I doubt that they were really the only people on the face of the earth. And like Jay mentioned – where did all the other people suddenly appear from? Good question. Who was Cain afraid of? Since the text does not mention anyone else besides Adam, Eve, Cain, and Abel up to this point in the narrative, some have assumed that there were no other humans in existence. Some find confirmation for this by the fact that Genesis 4:25—5:3 indicates that Seth was born 130 years after humans were created, and Eve considered him a replacement for Abel. But Seth was not the only other child born in those 130 years (Gen 5:4). He was merely viewed by Eve as Abel’s replacement since he was the next boy she gave birth to after Abel was killed. So there would have been a number of sons and daughters born to Adam and Eve after Cain and Abel but before Seth who could account for the population of people Cain feared . If Seth was the first male child born to Eve after Abel’s murder, and Seth was born 130 years after humans were created, then we can assume Abel was murdered somewhere around 125 years after humans were created. How many people might there have been by then? Let’s assume each couple only had 10 kids, one every 3rd year starting at age 20. How many people would that yield in 125 years? By year 50 there would be 12 people, and 5 new couples would form resulting in 50 additional children by year 80 (total inhabitants = 62). By year 100 those 50 children would have formed 25 new couples resulting in 250 new kids by year 130 (total inhabitants = 312). So there would have been at least ~300 people on Earth at the time Cain killed Abel, and some of them would have been Abel’s descendents whom Cain had good reason to fear! Furthermore, Cain knew he would live for many hundreds of years. It would only take another 200 years before the total population would reach ~200,000, which presented him with many potential foes. So I don’t think one needs to deny the historicity of Adam and Eve or resort to the idea that God originally created a community of humans of which Adam is the literary representative in order to account for the people Cain feared. When you say Adam represents the first humans, do you mean he is a literary device with no historical basis or do you mean he was a real historical person but was just one of a number of people God created in the beginning? If you believe God created a small community of humans in the beginning (or if you believe in evolution, God ensouled a community of primates at a certain point in time), what do you do about the Fall? If only one or a few in the community sinned, then you would have a sinless group of humans living alongside a sinless group of humans. The sin nature would only be passed on to the children of those who had sinned, while the children of those who hadn’t sinned would still be innocent (why don’t we read of such a scenario in Scripture? ), and thus it would not be true that in Adam all sinned as Paul teaches in Romans 5 et al. It seems to me the only way the entire human race could have received the sin nature in Adam is if the entire human race is descended directly from Adam. Indeed, in Genesis 3:20 Eve is said to have been called Eve precisely because she would be the mother of all living [humans]. And what do you do about the fact that Genesis 1 clearly depicts Adam as being alone; i.e. there was no other humans besides him? If God originally created a community of which Adam was just one person, then he would have had plenty of “helpers” to choose from. He never would have been alone. But the text clearly portrays him as being created alone, and then Eve only after some time had transpired. Good stuff. Great points you’ve made Jason. I’d like to add another. If there were two groups of sinful and sinless humans then it would be logical that God would choose the sinless as his choicest group. Perhaps that would make Noah a part of that choicest because he was sinless. Yet, scripture does not indicate that being the case. Also since God would have chosen the righteous then Noah and his family would be among the chosen and therefore would alter the entire redemption story. The flood would have saved only the righteous and destroyed the wicked and bury with it the lineage of Adam. Since scripture does not support this then it would have to be that EVERYONE is a descendant of the the first family. As for the other argument you present – it just doesn’t make sense to me. There are numerous examples where many people suffer as a result of one man’s wrong doing (you still even see similar behavior among human kind today). So here is what I belief – Adam and Eve did sin and as a result all man suffered the consequence. Surely God would have known that if he punishes only Adam and Eve, the others would be bound to follow in any case – that is Human nature after all. As far as the “helpers” are concerned – As I said in the opening paragraph – I would be open to the idea that there was an original single human being – I just don’t think all other people in the first couple of hundred years were the descendants from that one individual. PS: the same argument also goes for the comments from ‘cs’. Doesn’t the symbolic nature of the story (apples, talking snakes, gardens, animals getting named by Adam, etc) argue against its historicity? Especially when compared to the creation story in Genesis 1? It doesn’t mention apples, but fruit. But that’s trivial. Of all the things you mentioned, I don’t see anything that is symbolic about them. What exactly are all these things symbols of? Remember, you must derive your symbology from the text itself. But even if I agreed that certain elements in the story were symbolic, that wouldn’t argue against the historicity of Adam and Eve, unless you wanted to say they were symbolic as well. But if Adam is just a symbol, why say he lived for 930 years? Do symbols have a shelf-life? And why provide his geneology? The fact of the matter is that the text reads as if it is history, and the genre is indistinguishable from what is said of the other characters in Genesis which are clearly meant to be understood as historical figures. If we are going to dismiss Gen 1-11 as non-historical, then it becomes a little difficult to argue that we should regard Gen 12-50 any differently. I wrote a reply to your comment and thought I posted it several days ago. I’m not sure what happened. Let me just say a few brief things. First, you say human nature would cause others to follow Adam in sin, but remember, they had no fallen human nature at that time, so they would have no proclivity to sin. They could have been just like Jesus who managed to remain sinless in a world full of sin. If there were such individuals, why doesn’t Scripture speak of them? It seems to present a picture in which all men fall through Adam, and that Eve gave birth to all human beings. Again, see Genesis 3:20. I think that verse would be rather difficult to reconcile with a view in which Eve did not give birth to all living human beings. Building on my previous comments about Eve being made after Adam, the whole reason Eve is said to be created is because Adam could not find someone like him (as he surveyed and named all the animals). If there were other humans in existence at this time, then Adam should have found several people like him, and there would have been no reason for this comment to be made. It seems to me that the text is abundantly clear that Adam was the only person God created initially, and Eve was the 2nd. The only reason to suggest there were more than just Adam and Eve is to fit the Biblical story with an evolutionary perspective (with the possible exception of the people Cain is said to fear). But if the evidence for macro-evolution and common descent is weak (as I am convinced it is), then there is no reason to seek a harmony in the first place. I think the most obvious reason for A&E being the only humans in the beginning, which appears again and again in your arguments, is that the fall has consequences for all humans living afterwards up until today. That is, because you seem to need to see the fall as an avoidable event rather than as an aspect of human nature. I see no need for that. God has made men to be like him; therefore human nature is thought eternally. But it can’t be eternally after creation and the recognition of self, because there is a huge distance between humans and god. That distance can only be covered by revelation through God in Jesus. But it is the reason why humans have to die. They lost their eternal nature when they stopped to live in god rather than to live in him. And they can now regain it, by living in him through Jesus who shows where the path may lead and makes repentance possible. I think that we don’t need a single Adam and therefore don’t have to be mad at him, for passing his sinful nature on to us, because it is human nature in itself. Adam did have a sin nature before he sinned anyway. Or how should he have sinned in the first place, if he wasn’t able to do so? Because of Eve? Well, she had the sin nature then. Or did she only do it because of the snake? Even though she wasn’t able to think of it at first and though she knew it was wrong? Well I think that does suggest a sin nature.